Had an email yesterday from Annette Balkema, one of our MaHKU teachers, letting me know that she refers to my work in an article she wrote for MaHKU’s Journal of Artistic Research. I’ve blogged about Annette before, she was the first real-life philosopher I ever have been taught by. And very illuminative it was! She has also helped me tremendously by pointing me towards Gadamer’s treatise ‘The Relevance of the Beautiful’, a work in which Gadamer deals with the connection between art and play. So I was really pleased to hear that Annette had used my work as an example in her article. It is titled ‘Doing research in the age of digital clouds: the academy strikes back‘. In it, she deals with dissemination as ‘the latest buzzword in the world of the Net’ and the latest model for undertaking and presenting artistic research. She makes a move from Deleuzian rhyzomes and interconnectivity to the morphing interactions of swarms. I refer to swarms in my essay, and I intend them to be my new research subject. So this is very interesting indeed! Doing Dissemination – the butterfly , the cloud, and the researcher. In Dissemination, Derrida refers to swarming and a swarm of bees in the context of the movement of dissemination where language is deployed to elucidate such a flowing movement. “Language becomes that state of beginning speaking up from all sides, whose soundless effects are immediately going to reverberate on that linguistic hinge or pivot: comparison”, Derrida assentingly quotes Sollers Numbers, a textual tissue weaving through Dissemination. Dissemination and interconnectivity could encounter through a mobile bridge in order to speak up from all sides but they cannot simply be compared. Therefore, let’s reload the swarm, that “motif” or “focal point of condensation” as “sites of passage” – a Derridean vocabulary connected to concepts in order to prevent them “to be elevated into a master-word or a master-concept” – and see what that brings about.We must cancel the bee and fill the movement of swarming with butterflies. What does a reloaded swarm filled with butterflies tell us? There are several butterflies all linked with movement and motion. There is a butterfly associated with systems. 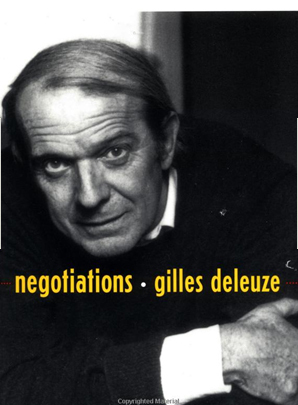 Not Deleuzean open systems of interconnectivity, but systems connected with chain reactions – more like Derridean-style disseminating and streaming chains. There is a butterfly in chaos theory creating the metaphor of the “butterfly effect” pointing to the notion of sensitive dependence in initial conditions where “small differences in the initial condition of a dynamical system may produce large variations in the long term behavior of the stem.” There is a poetic butterfly whose flapping wing could produce tiny changes in the atmosphere altering, delaying, accelerating or preventing the path of a tornado. That poetic butterfly was once summarized as ‘Does the flap of a butterfly’s wing in Brazil set off a tornado in Texas’? There is a slow motion butterfly polymorphing into fascinating patterns of variation and coloration. It must have been the butterfly’s flapping wing that created an atmospheric transformation in the digital world. Without noticing, without knowing, we moved from interconnecting digital superhighways to clouds of bits of information hovering above our real and virtual worlds disseminating into cloud cultures and cloudcomputing – a paradigm move from client-server to Internet-based computing. One could get retro-minded and point to cloud control – but that sounds like a space oddity connected with Major Tom and ground control. To Marcusean one-dimensional beehive minds shrunken by continuous Twittering and Hyving. To Freudian personalities imprisoned in their Facebook Ego’s. 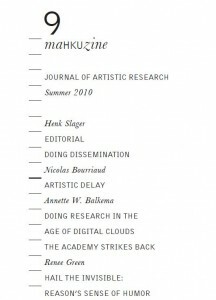 A PDF of MaHKUzine no 09 is to be found here. A basic notion in Basbaum’s work is that the artistic gesture of making boundaries visible by crossing them has little effect on the control structure of the network, because the network will simply transform around the gesture. The network can only be perceived in motion, action. If there is to be an artistic resistance to the control society, ‘auto-poetic or self-renewing machinic’ environments’ are to be created that expose modelization of behavior, preconceived flows of experience, hierarchies of command and control. In this kind of environment, the artist only proposes action. Action that is then taken up by the collective, the players, of whom the artist may be one. This collective works together not according to hierarchical principles but as a swarm: a decentralised, self-organized system. 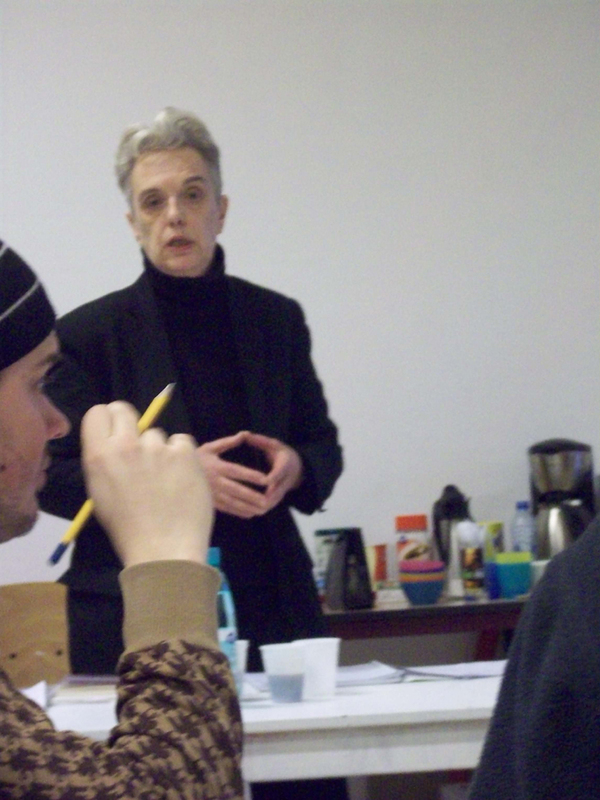 Participants follow very simple rules, and local interactions lead to the emergence of intelligent behavior by the group. Obstacles and boundaries are detected, avoided and overcome by the swarm’s agile movements. Control is built in in the algorithm that guides individual behaviour: the rules of the game. The game/essay quoted is to be found here. 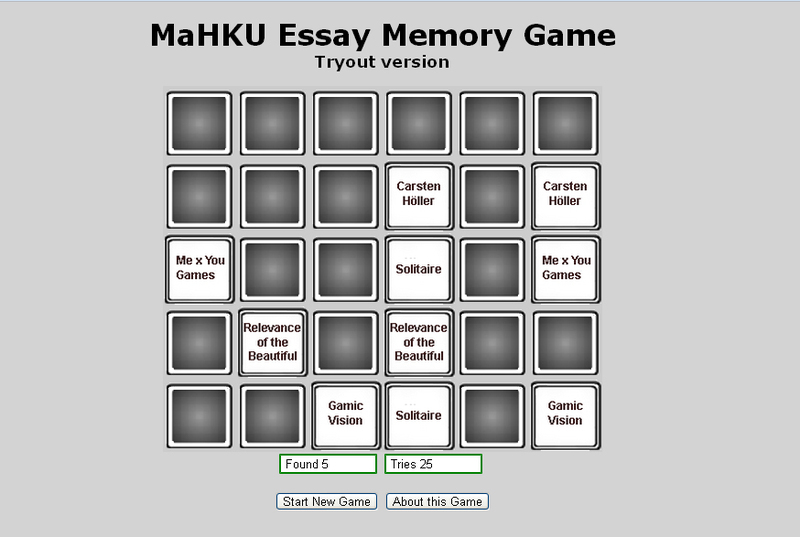 Try and find the matching cards titled ‘Me and You Games’ and the full text becomes available.